One of the photos on this page shows the plant with gift wrap. This is not included in the price,however you may add gift wrap (for an additional charge of £4.95) during the order process. 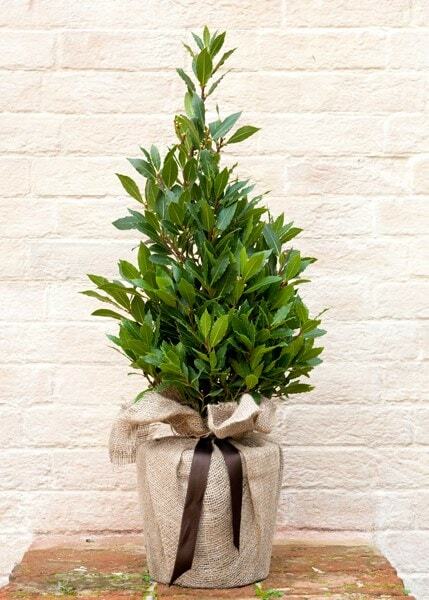 These evergreen bay laurel pyramids are ideal for punctuating a formal or contemporary planting scheme. Since the lustrous, aromatic, dark green leaves, valuable for culinary use, are susceptible to wind scorch provide a sheltered, sunny or partially shady site and winter protection in cold areas. The mature leaves may be used fresh or dried in bouquet garni, for flavouring stocks and sauces. Garden care: Keep well-watered during the growing season and feed with a slow-release fertiliser. 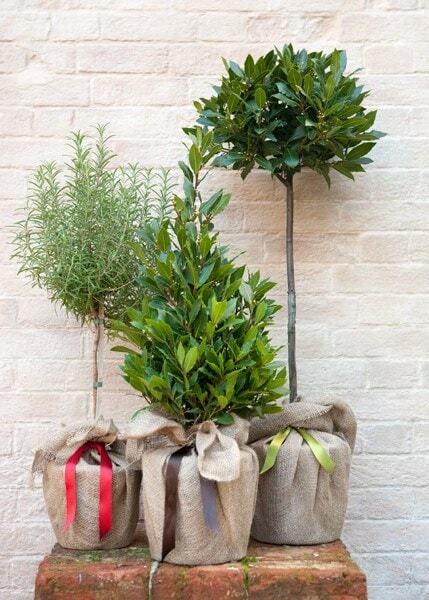 Clip established plants lightly twice during the summer months to retain a balanced shape, using secateurs not shears. 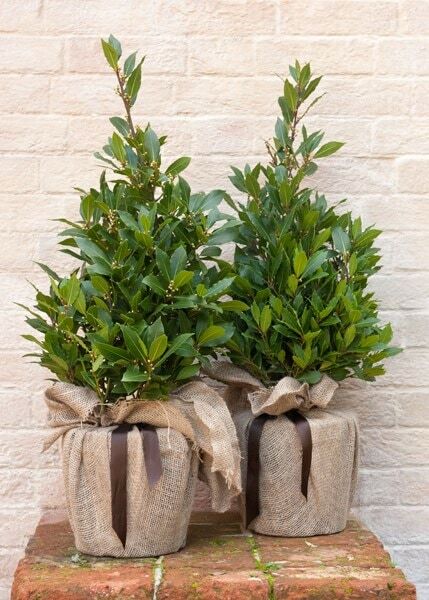 Supplied in a plastic pot they are suitable for potting in to terracotta pot or wooden planter to make them look a feature on patios or outside your door. Please note the height specified is the overall height of the plant on arrival including the pot. After the long, hot and dry Summer of 2018 I am convinced that this shrub is indestructible. We have four. Two were bought as standards and planted in the front garden in the sunny but very windy and exposed site and they are now, after five years, about 4m high trees. There is a little bit of wind scorch in Spring but we have them trimmed lightly after flowering and they recover with new growth.The other two were bought two years ago as small pyramids and were planted in the back garden in a West facing mixed shrub border and are already 3 metre tall narrow pyramids. In our experience they are as fast growing as Fatsia japonica and they look lovely planted next to them too. My neighbour keeps hers under control in a rather small pot on her patio and it looks equally gorgeous. We may have found an ideal plant to replace the box we lost. Very healthy specimen and continues to grow well.